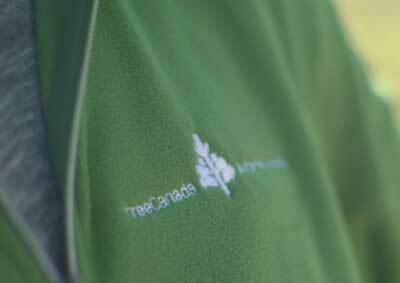 What are Tree Canada’s Community Tree Grants? 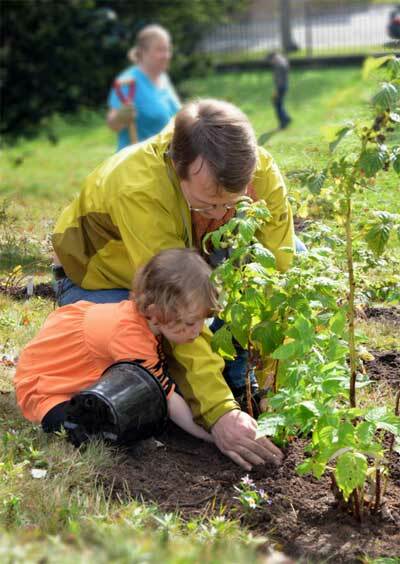 Our Community Tree Grants are the only national community greening, innovation and stewardship program in the country. 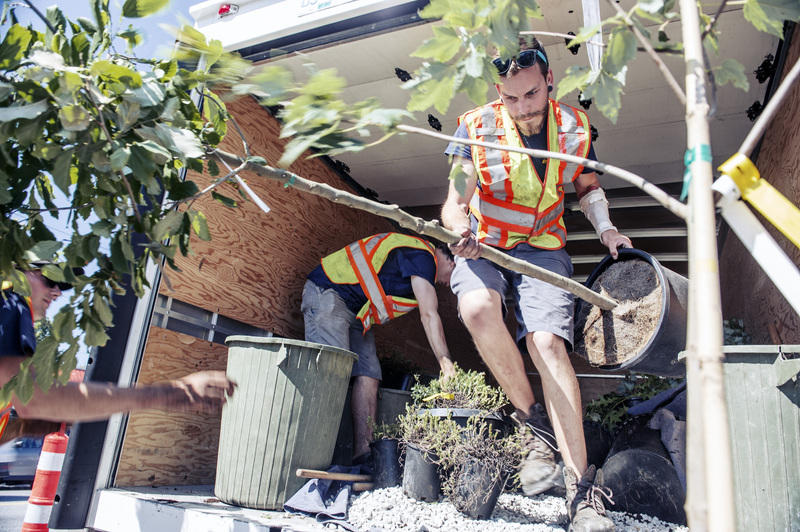 Through this program, Tree Canada and our partners offer grants and technical and logistical support encouraging the spread of “green infrastructure” in our communities. This includes supporting local greening projects as well as developing and rolling out urban forest best management practices and innovative urban design solutions. 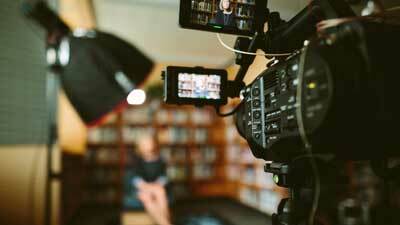 What kinds of greening projects do we support? Our children should be able to enjoy learning and playing outdoors in a lush, green, vibrant school yard. With all the evidence showing that Nature Deficit Disorder is a very real and growing problem, children do better when they can connect and interact with nature as much as possible. 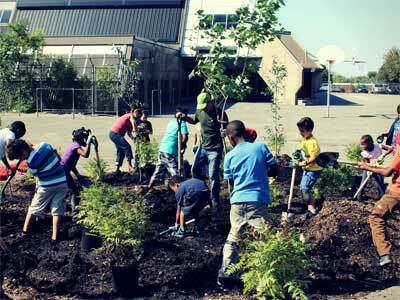 Since 2008, Tree Canada and our sponsors have greened more than 600 school grounds! We help fight food insecurity by planting fruit- and nut- bearing trees and shrubs in communities. 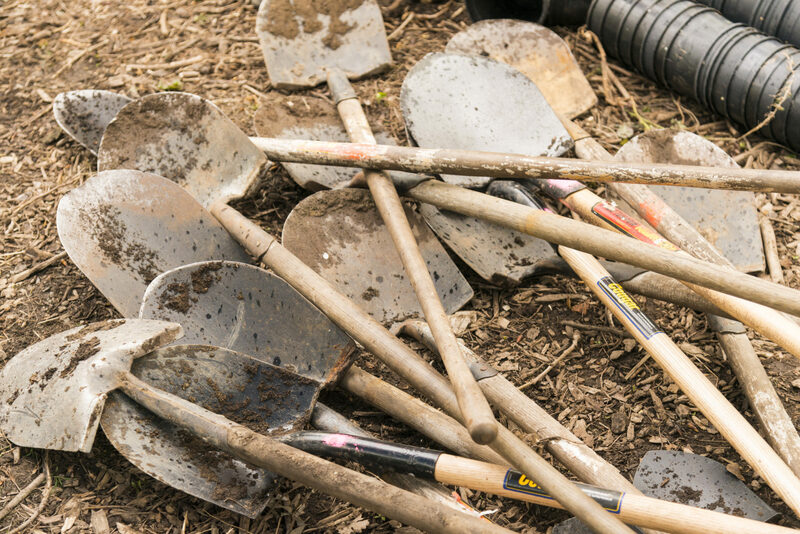 Grants of up to $3,500 (along with logistical support) are available for community groups, housing projects, indigenous communities, schools, park boards and other groups wishing to plant trees on publicly-accessible planting sites. Since 2012, Tree Canada and our sponsors have planted more than 10,000 edible trees with more than 150 communities! These grants support community greening projects; urban forest planning; policy and best management practices and innovative urban design communities across Canada. Since 1992, Tree Canada and our sponsors have greened more than 500 municipalities, indigenous communities & BIAs! Would your business like to become a Green Streets Canada partner? Contact us to see how we can work together. Studies suggest hospital patients that are able to look out on treed landscapes show a faster healing time. Tree Canada supports the planting of trees on hospital grounds and other healthcare facilities including mental health facilities. This has a direct impact on the health and wellbeing of Canadians. Would your business like to support greening hospitals and healthcare facilities in Canada? Contact us to talk about how we can partner together.